A recent meta-analysis indicated that among individuals diagnosed with cancer, 14.9% meet criteria for Major Depressive Disorder, 19.2% experience minor depression, and 2.7% meet criteria for Dysthymia (Mitchell et al., 2011). 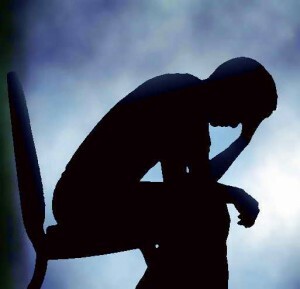 The occurrence of depression in oncology may lead to increased mortality rates, higher treatment attrition, and decreased quality of life (Spiegal & Giese-Davis, 2003; Pinquart & Duberstein, 2010). Given the prevalence and impact of depression on cancer patients and cancer treatment, accurately assessing for and treating depression within oncology is warranted. Previous research supports attending to treatment preferences, which has been indicative of improved treatment outcomes, adherence, and satisfaction (Swift & Greenberg, 2015). One model that attends to treatment preferences that has been created to treat individuals experiencing depression is the Stepped-Care Model. Additionally, this model offers a range of depressive treatments based on intensity (Broten, Naugle, Kalata, & Gaynor, 2011). The current study considers the Stepped-Care Model for depressive disorders and assesses model acceptability and treatment preferences within an oncology sample. Additional variables include depressive symptom level, illness perception, and resilience. Participants are being recruited from the MD Anderson Cancer Center at Cooper Hospital and data collection is ongoing. The current sample (N=25) consists of female patients diagnosed with breast cancer. Participants are predominately Caucasian (84%), Non-Hispanic/Latino (76%), and ages range from 32-65 years (M=52.16). Statistical analyses will examine treatment preferences and step-by-step acceptability of the Stepped-Care Model through descriptive data, correlations, goodness of fit chi-square analyses, within and between groups t-tests, and multiple regressions.